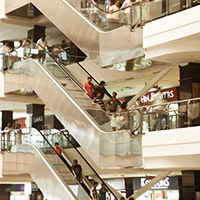 Wave Mall, Noida has changed the customer's way of shopping and provides an opportunity to the customers to fulfil their desires. 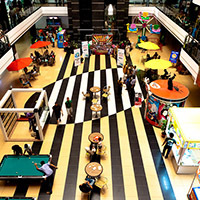 Wave Mall, Noida is the first ISO 9001-2008 specialized for Quality Management System and ISO 14001-2004 specialized for Environment Management System certified mall in Northern India. 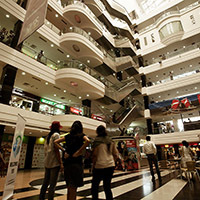 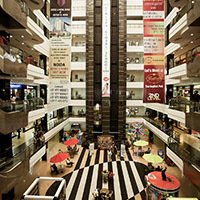 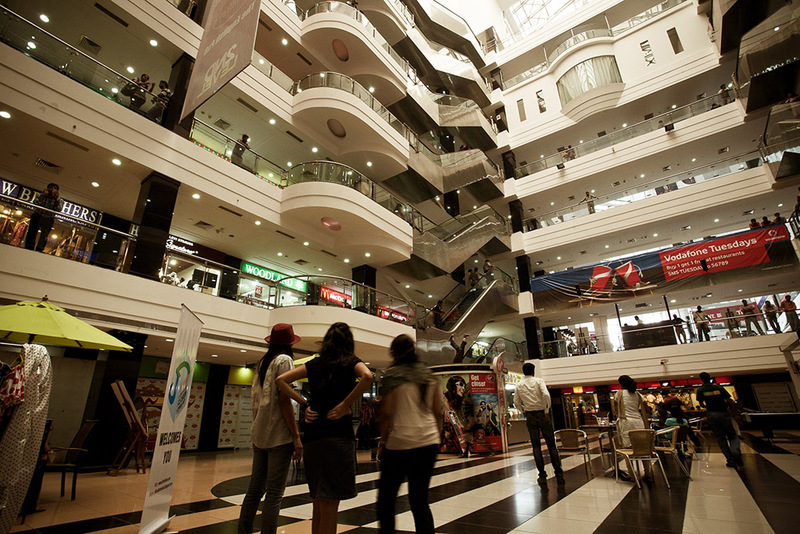 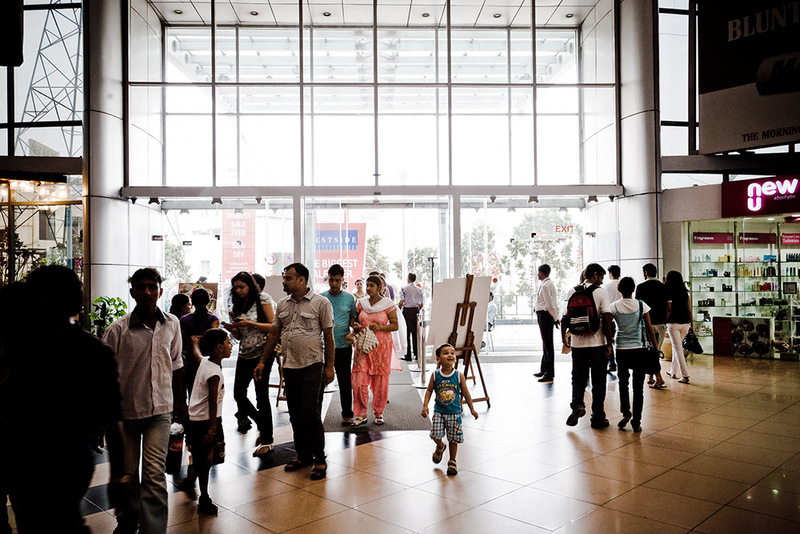 The mall is situated in the prime commercial zone of Noida and offers quality leisure activities. 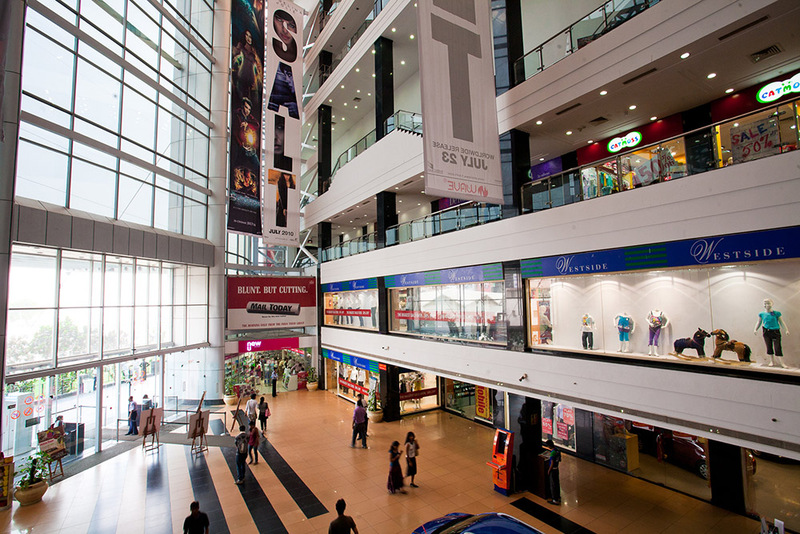 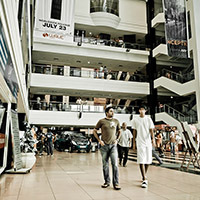 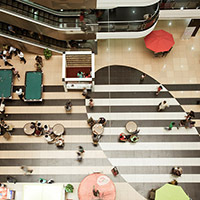 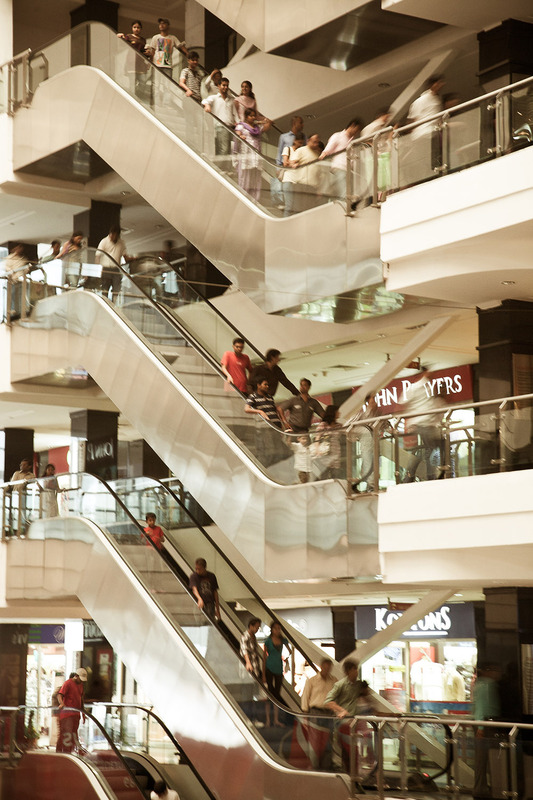 Wave Mall, Noida features premium brands, multiplexes, food court all under one roof that make it a one stop destination. 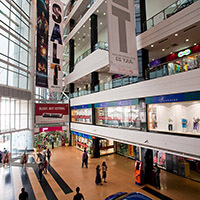 It offers the ultimate shopping experience with more than 20 retail outlets and 18 Food Joints under one stunning roof with the prime motive of providing shopping and relaxation experiences to its customers. 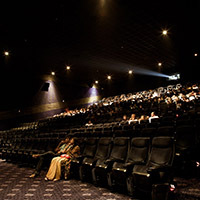 Accommodating a wide array of brands in fashion, SPA, beauty, restaurants, nightclubs and more, we have marked and maintained our position as the preferred choice for our customers entertainment needs. 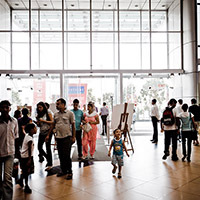 Some of the delicious food options include restaurants and food joints such as Haldirams, Mc. 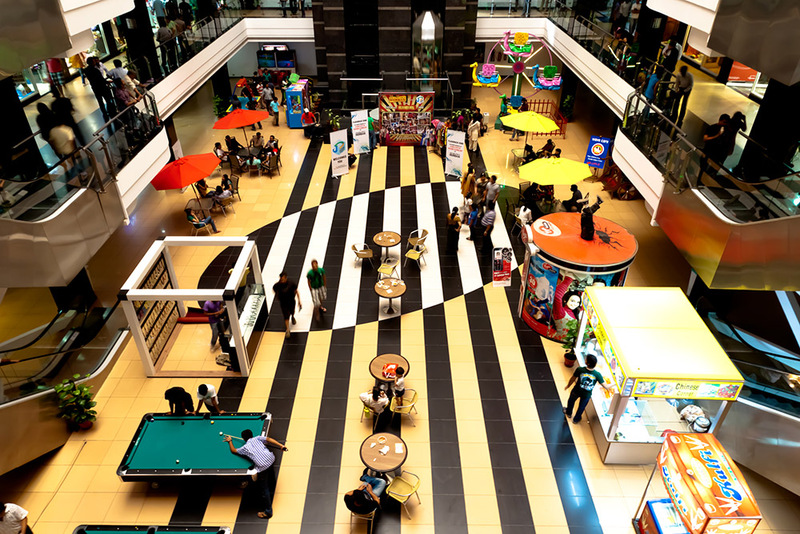 Donald's, Pizza Hut, Barista, Cocoberry, Ruby bar and grill and Geoffrey's. 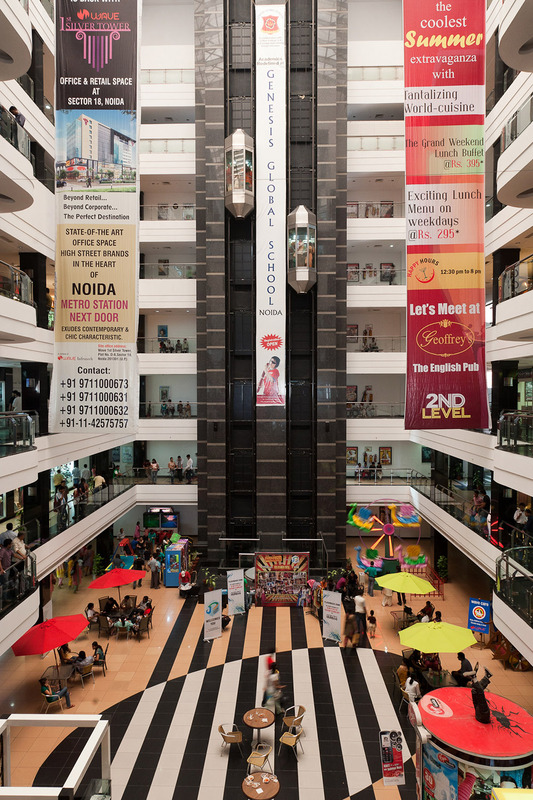 Wave Mall, Noida offers ample parking space with two level parking facilities along with a valet parking service. 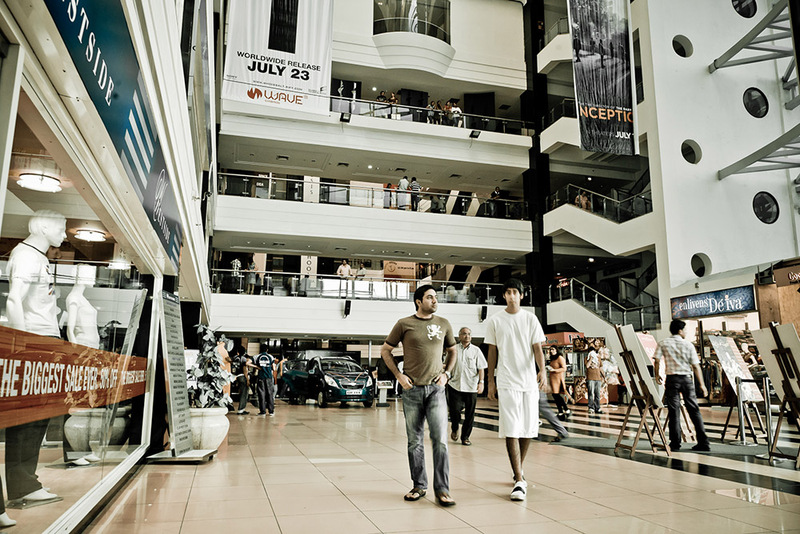 The mall provides a highly secure parking with guards to guide customers to their designation. 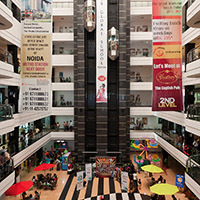 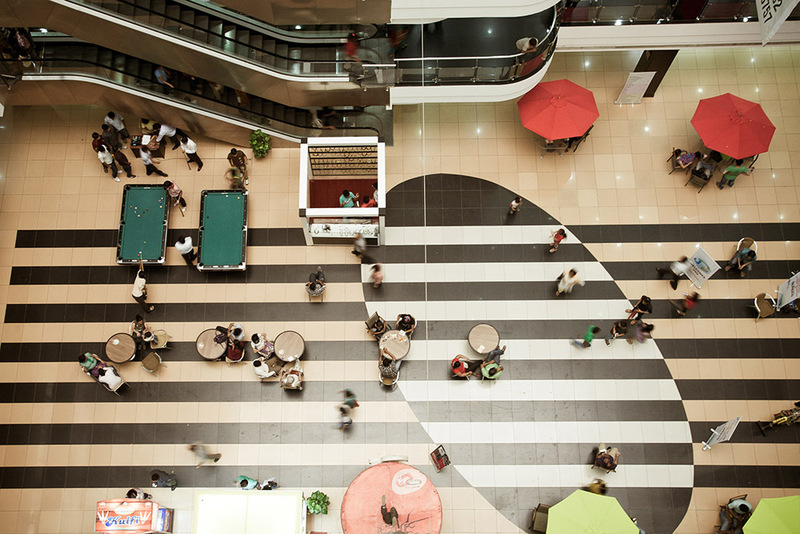 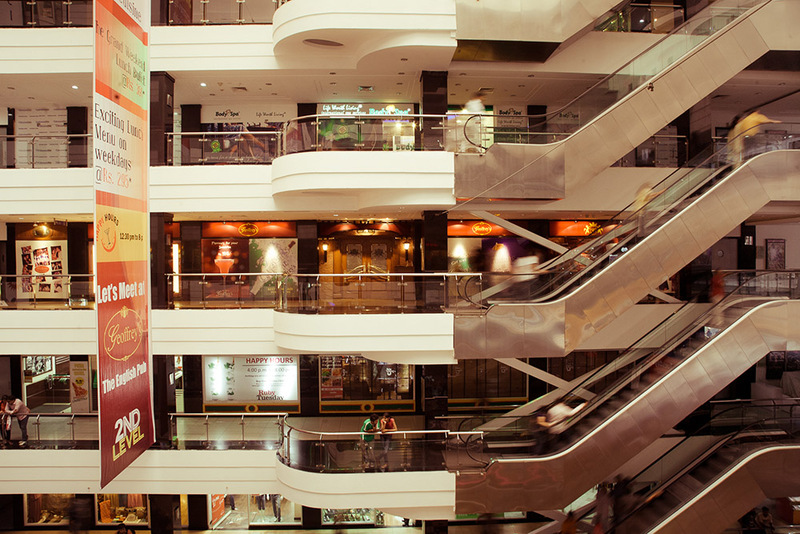 The mall has 14 escalators, 2 capsule elevators and is equipped with modern firefighting systems, electronic and manned security systems complete with CCTV monitoring. 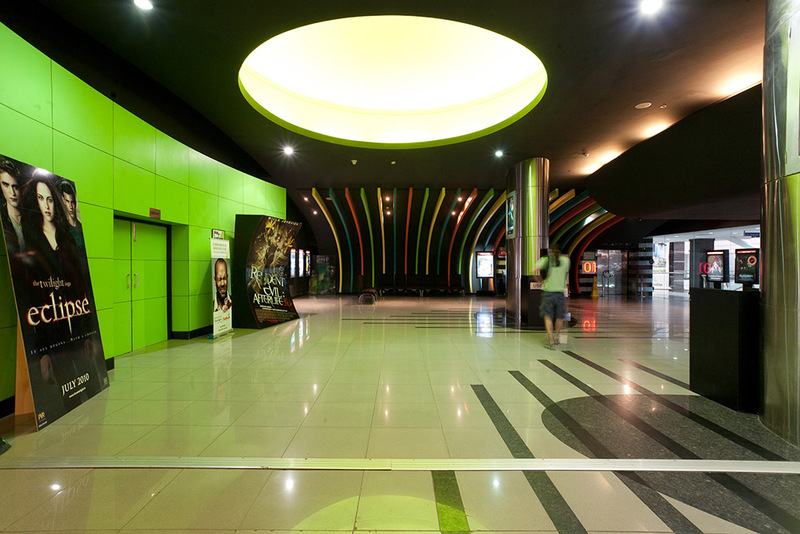 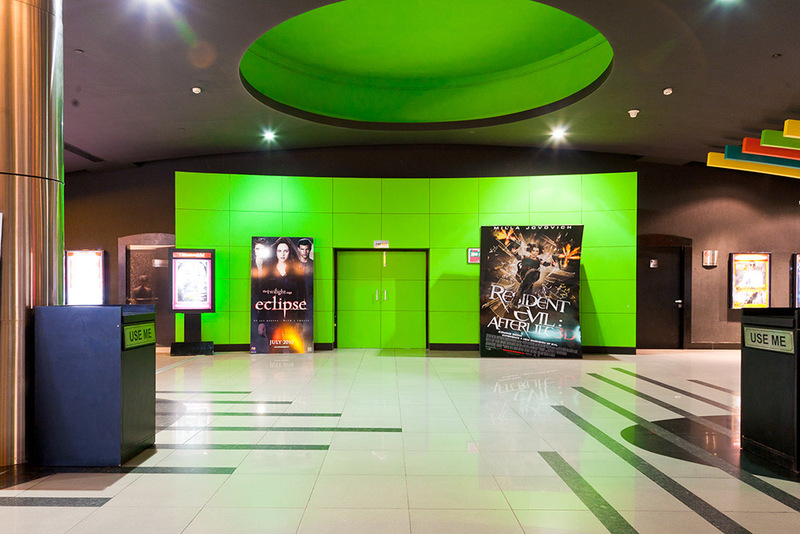 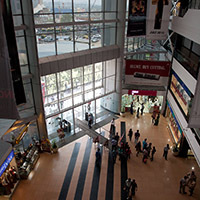 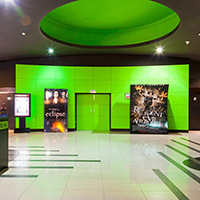 Wave Mall, Noida also houses Wave Cinemas, Noida the remarkable 5 screen multiplex that offers the latest from Hollywood to Bollywood in its world class auditoriums along with the Platinum Lounge for the ultimate luxury experience. 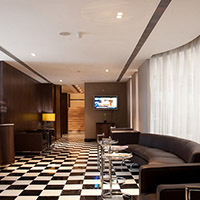 The Platinum Lounge is also famous for its comfort, emabience & VVIP treatment. 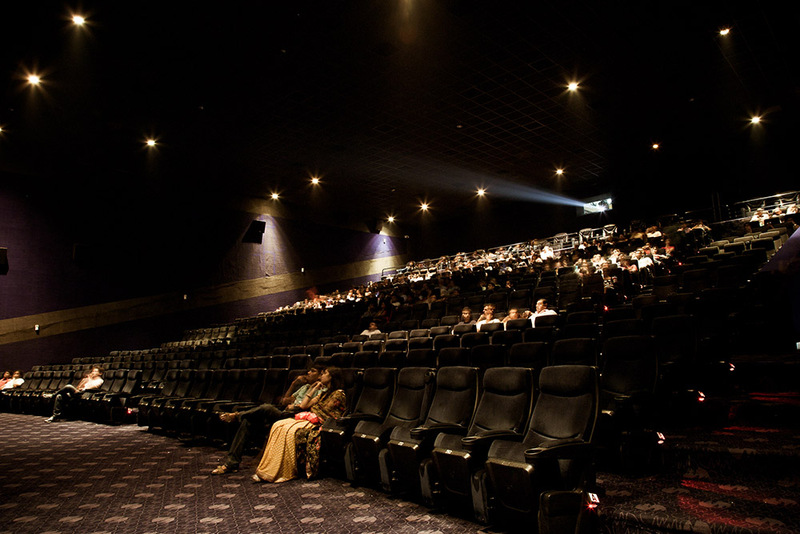 The cinema has world class 4K digital projectors with a digital sound system. 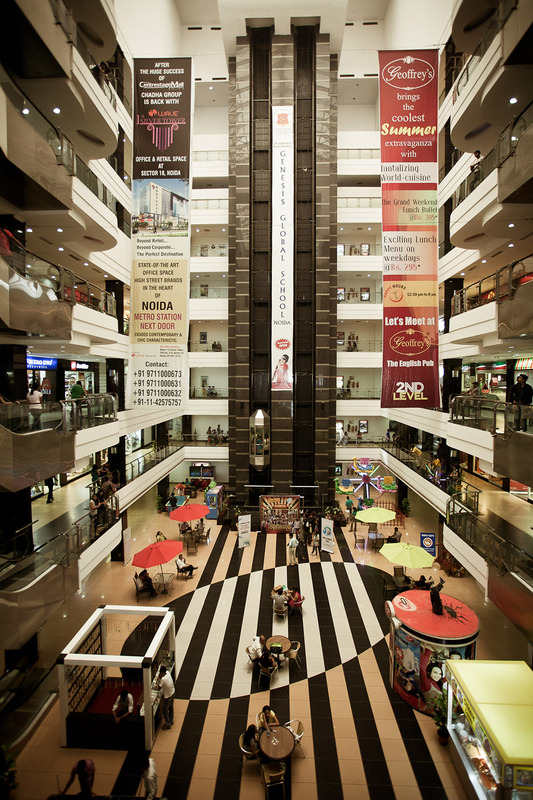 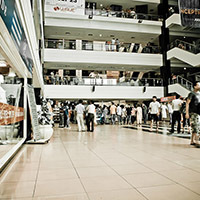 The Platinum Lounge is the USP of the mall as it is well admired for its unique features and qualities. 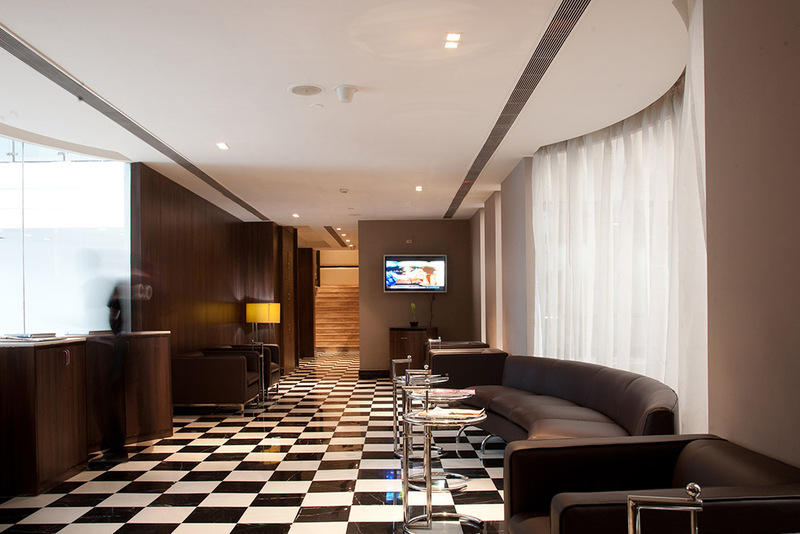 The kind of hospitality offered to the customer is commendable. 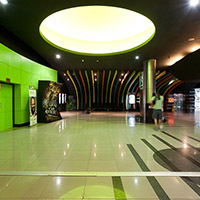 09.30 A.M. to 11.00 P.M. 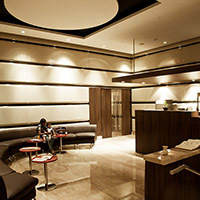 Platinum Lounge in 2 auditoriums with 17 seats in each. 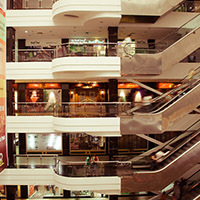 01 - Geoffrey's, Ruby's Bar & Grill, My Way or the High Way. 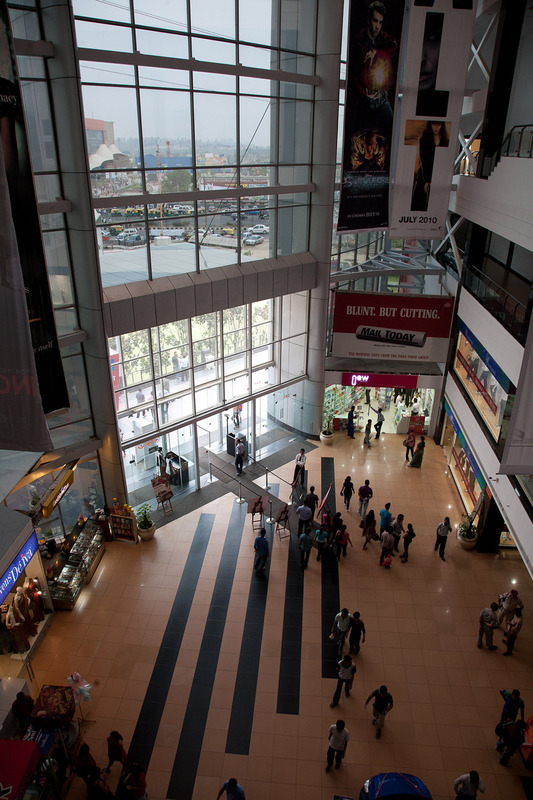 Yes, Wave Mall, Noida provides wheelchairs, during all mall hours, at absolutely NO COST. 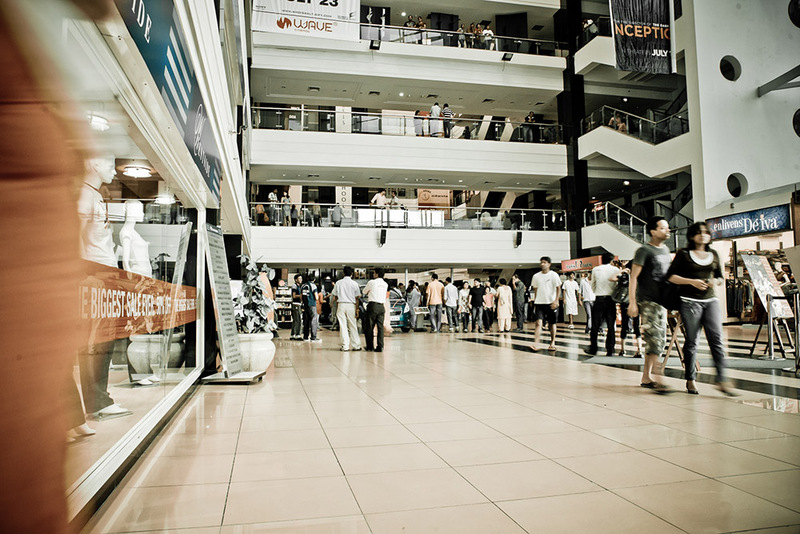 It is available at the security check-point or main entrance. 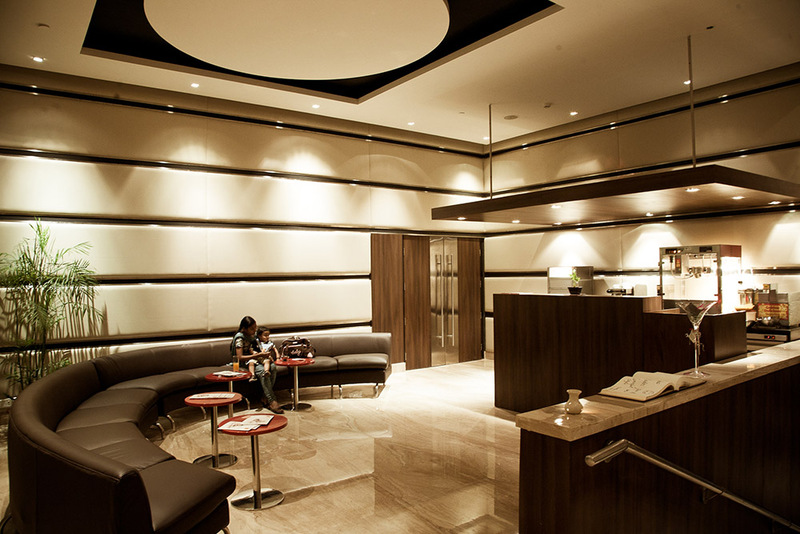 Yes, 3 spas are are available in the mall, Body spa, Buddha spa & Bullion spa.